Back in January, I completed my first half marathon and my first Run Disney event. I participated in the Star Wars Light Side Half Marathon. When I signed up I had every intention of training for it really well and I started off on the right track but then life happened. For the past ~9 months I have been working 3 different “as needed” jobs. For ~ 4-5 of those months I was working well over 40 hours/week between the 3 jobs. And no, I promise I am not crazy! I am no longer working 3 jobs or that many hours and I would not recommended trying that yourself! Anyways, I basically was very unprepared for this half marathon. Disney also has a policy that you have to run a 16 minute mile pace (or less) during the race. If you do not meet this pace requirement then they “sweep” you off the course in a short bus and drive you to a “pick up” tent. I knew I was fully capable of at the very least walking 13 miles but I was not sure if I would be able to keep up with the pace requirement. I was VERY nervous and convinced that I was going to get swept. It turns out that the force was with me and I used my inner Jedi skills to finish the race and not get swept! Here are some things I learned along the way when it comes to challenges you don’t think you can accomplish. – Disney has photo-ops throughout the race, which is completely awesome. I REALLY wanted to stop and take a picture with Chewbacca or R2D2, but the lines were long and I knew that it would definitely mess up my pace. If I had trained better than I might of had time to stop, but I did not …so this was my fate. – This can happen in real life. How many times do you set out to accomplish something and let other things get in the way? Determine your distractions and then refuse to let them interfere with you achieving your goal. – The ENTIRE race there were Disney Park Employees, family members, friends, random people, high school bands, high school cheerleaders, and even cosplayers standing on the race route cheering on the runners. This was SO motivating. There was just something about realizing that these people took time out of their day to support people running this half marathon. They did not know me, but they cheered me on anyways. Even other runners were very encouraging to each other. -Whatever your goal, find your support system. You may think you can achieve it on your own, but let me tell you that it is SO much harder to give up when you have so many people believing in you and cheering you on. – Ultimately, you have to mentally decide that you ARE going to achieve what you set out to do. You need to look inside yourself and decide what is REALLY pushing you to do that. Why do you want to achieve your goal? Why is it so important? -My motivation for this race was my husband. He was very encouraging and believed that I could accomplish what I had set out to do. This just really stuck in my head while I was running. I could imagine him cheering me on and later in the race I got to physically see him cheering me on! He may have also promised me a Build a Bear if I finished! hehe! Progress not perfection is what matters. – I did not do as well as I had hoped I would when I initially signed up for the race, but I finished and I didn’t get swept. So I was pretty proud of myself. – Don’t get discouraged if you don’t reach your goal completely/perfectly. For example, say you have a goal of losing 30 pounds for better health but you have only lost 15 lbs. Don’t get discouraged because that is PROGRESS. You are one step closer to achieving the final goal you have set for yourself! – For my next half marathon, I will train better. Even though I enjoyed the race, I would have enjoyed it a whole lot more if I had trained better. – You will learn what works and doesn’t work on your path to achieving your various goals. The important thing is that you DO learn. The definition of insanity is doing the same thing over and over again and expecting different results, right? –If you are a back of the pack runner and are worried about the pace requirement, there are “Balloon Ladies” that walk a 16 minute pace. They are the very last ones to start the race. During this race they had Death Star balloons tied on their waist. At each Mile Marker the employees would tell you how far ahead of the “Death Star” you were. Don’t let the balloon ladies pass you or you will get swept! –If you can run another half marathon prior to your Run Disney event then do it. Disney requires proof of time to be in the first few running corrals. I was in the very last corral since this was my first half marathon. My future sister-in- law was in the very first corral because she has done several half marathons and is super fast. I started a whole HOUR after she did. This means that I was standing there in the cold for a whole hour (at 5 in the morning ) just waiting to start running. This was not very enjoyable. –Registration cost does NOT include a ticket to the park. I repeat, it does NOT include a ticket to the park. We were a little confused about this at first. — IT WAS SO MUCH FUN. I am a huge nerd and I love that the whole event was Star Wars themed. I loved seeing the runner’s costumes and the things Disney did for the race. If you are going to run a half marathon then it might as well be a fun one! 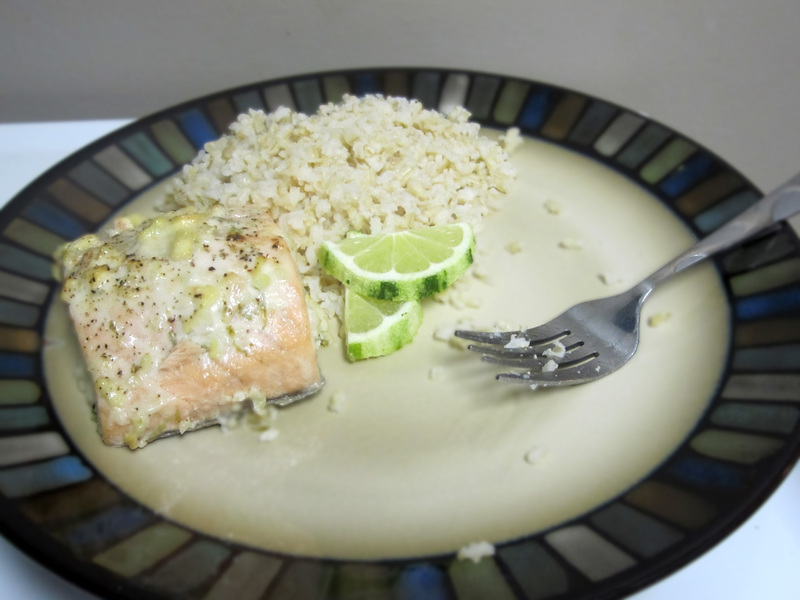 This recipe was one that I created as a project for one of my nutrition classes at Purdue. But I am still OBSESSED with it so I thought I would share it with ya’ll! Hope you love it as much as I do! 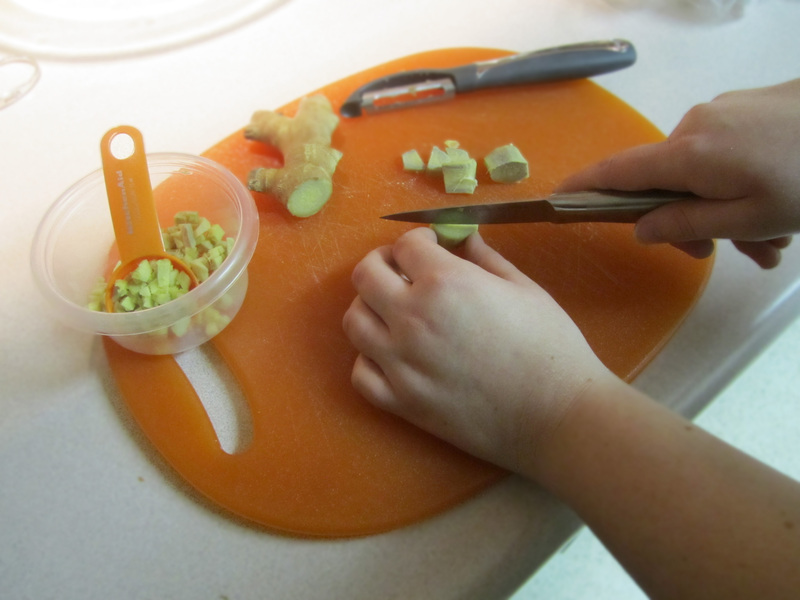 Peel the skin off and finely chop the ginger. 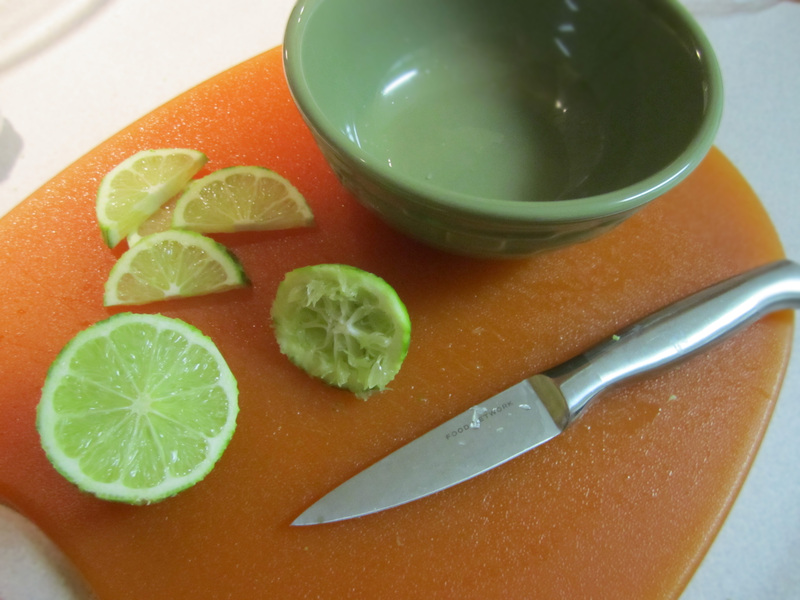 Whisk together the yogurt, ginger, garlic, lime juice, lime zest, honey, oil, salt and pepper in a small bowl. 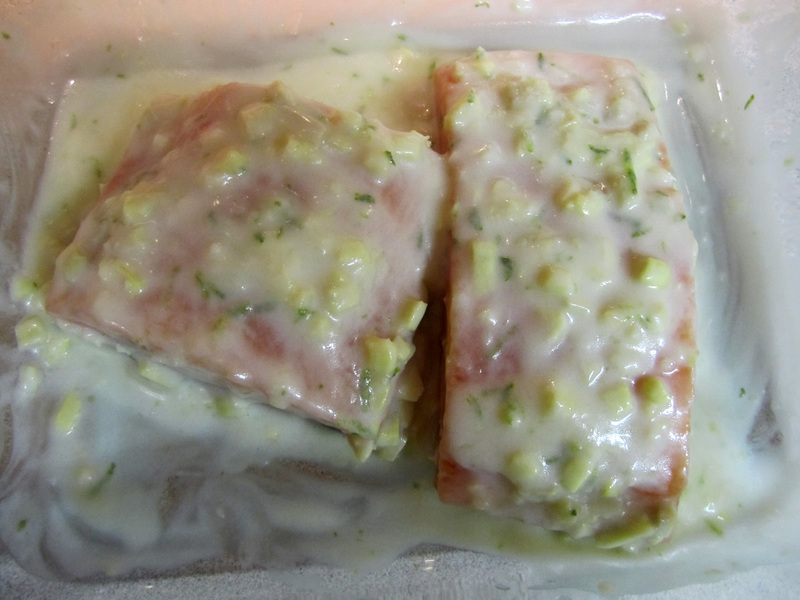 Place salmon in a shallow glass dish and pour the marinade over it. Turn the salmon to coat on all sides. Cover and marinate in the refrigerator for 20 to 30 minutes. Place Salmon in the oven. Cook for 10-20 minutes or until the salmon reaches 145 degrees Fahrenheit. One of the most frequent questions that I get asked is how much artificial sweetener can I safely consume? Since many people have asked me about this, I decided to write about it and share the facts. Below is a list of artificial sweeteners that have been approved by the FDA in the United States. Stevia has not been approved of by the FDA for use as an artificial sweetener. It can be sold as a “supplement” because generally supplements are not evaluated by the FDA. So why are people concerned about cancer and artificial sweeteners? In the 1970’s studies in labs linked saccharin with the development of bladder cancer. -These links were in RATS only. Researchers studied the mechanics and how the substances worked on the body. The bladder tumors seen in rats were caused by a mechanism not relevant to humans and there is no evidence that saccharin causes cancer in humans. This is why saccharin is no longer listed as a carcinogen (cancer causing). In 1996, a report suggested there was a link between brain tumors and aspartame. -An analysis of statistics showed that the overall incidence of brain and nervous system cancers began to rise in 1973, 8 years prior to the approval of aspartame. -A study conducted in 2005, found more lymphomas and leukemias in rats fed very high doses of aspartame, but there were some inconsistencies in the studies. -Human data was also studied and no links were found between aspartame and the development of lymphoma, leukemia, or brain cancer. There has been no sound scientific evidence that the approved artificial sweeteners cause cancer in humans. In the studies, researchers give rats EXTREMELY high doses. What is an Acceptable intake limit? This adult would have to consume 17 cans of soda or more than 75 packets of Equal to go over the recommended level. This is equivalent to about 23 packets of Splenda. 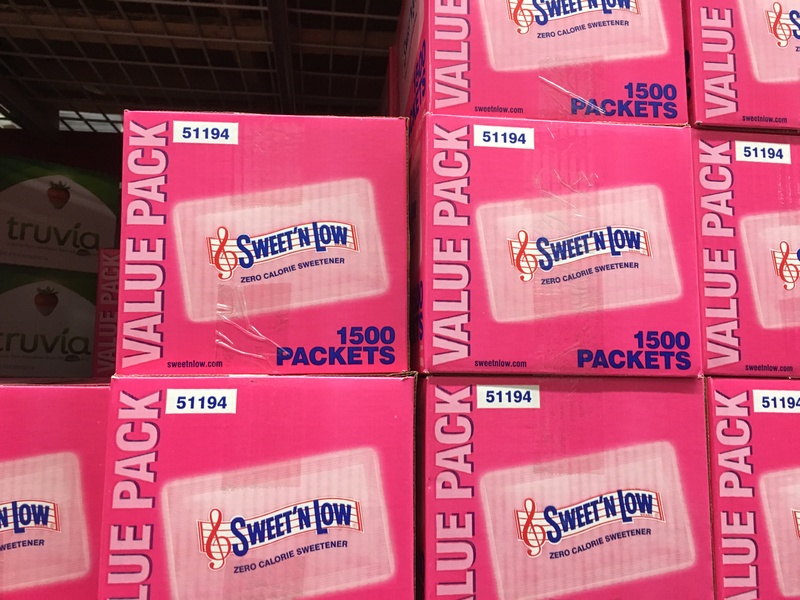 This is equivalent to about 23 Sweet One Packets. MODERATION!!! – Based on current research, having a small amount of artificial sweeteners daily shouldn’t have any adverse effects. Even “healthy” things can be unhealthy for you with excess consumption. 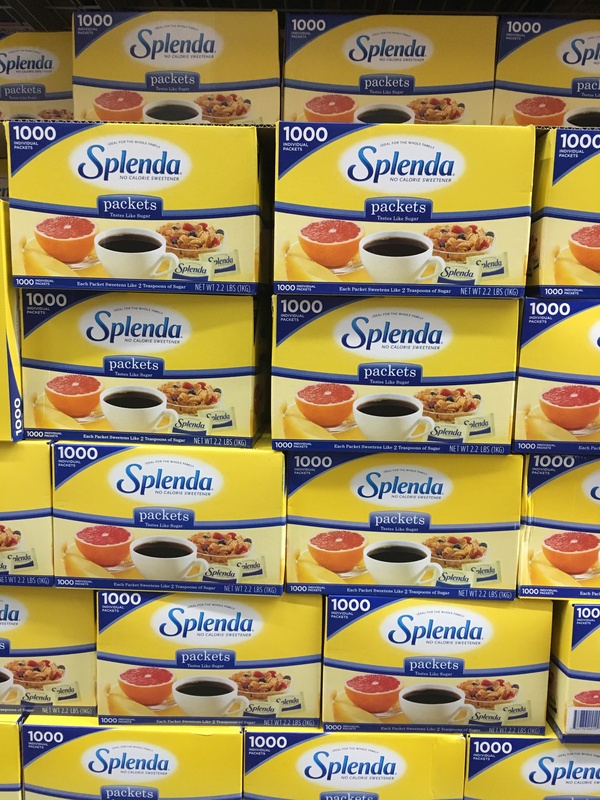 The question you are dying to ask….Do I use artificial sweeteners? The answer is that I occasionally use them. Most of the time when I sweeten something such as my coffee, I use regular sugar. The main reason is because 1.) I am able to use it only in moderation (meaning I don’t over-do it!) and 2.) I personally don’t enjoy the taste of artificial sweeteners. 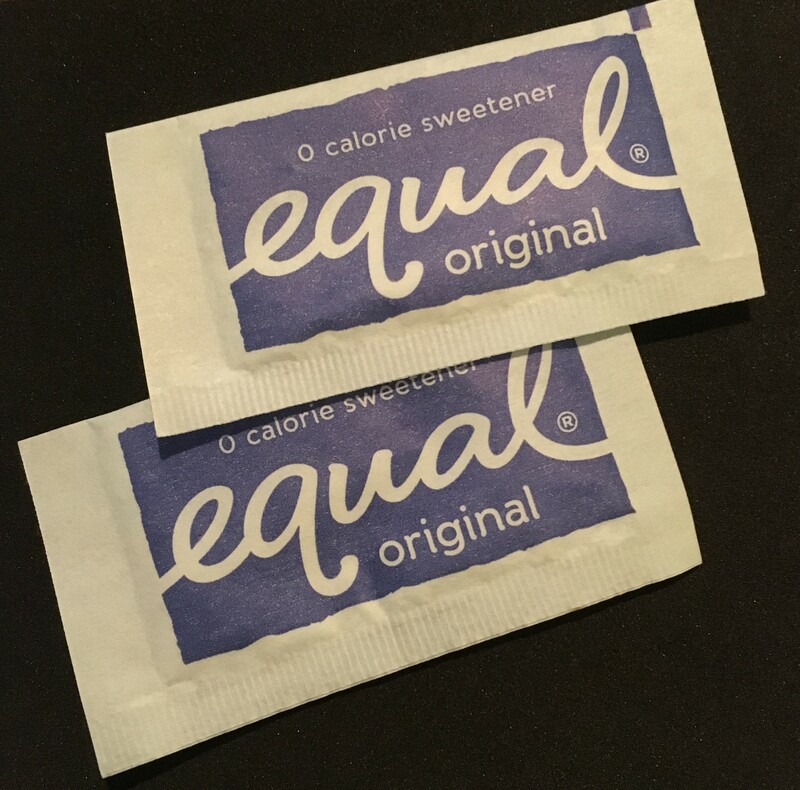 But if you are a type 2 diabetic, a bariatric patient or just unable to moderate your sugar intake and are currently trying to lose weight then I would recommend switching to an artificial sweetener that you enjoy! Exception!!! (there is always an exception) There is one group of people who can’t eat all artificial sweeteners: those with phenylketonuria (or PKU). People with PKU aren’t able to metabolize phenylalanine, an amino acid in aspartame, so they’re advised to steer clear of aspartame. Preheat the oven to 375 degrees Fahrenheit degrees. 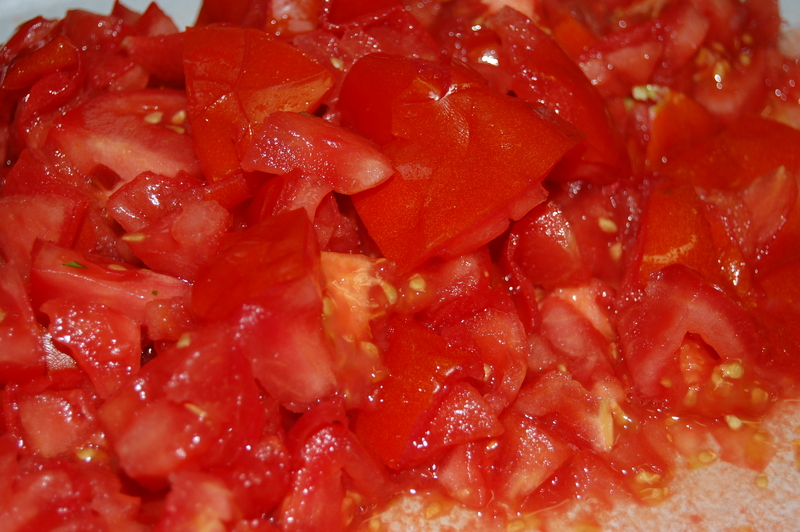 If using fresh tomatoes, cut the tomatoes into small chunks. 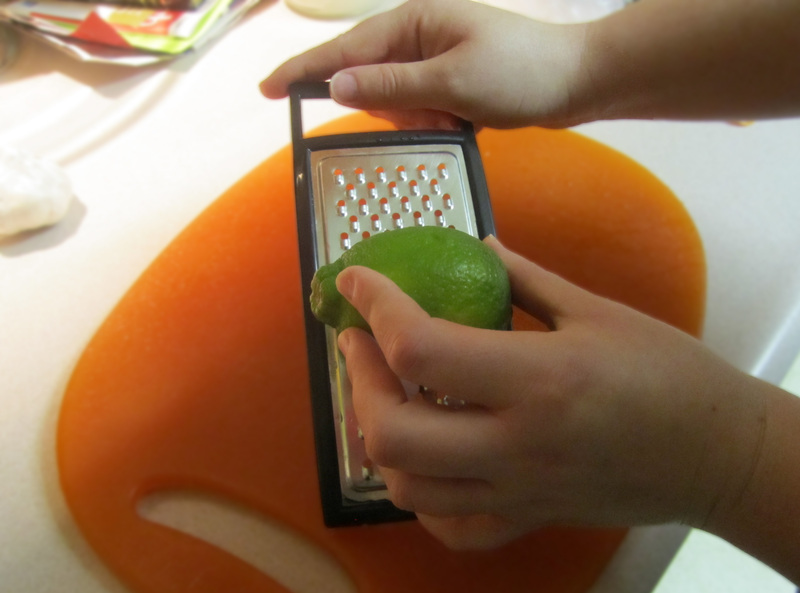 At this point I used my chop and press to mash up the tomatoes more. 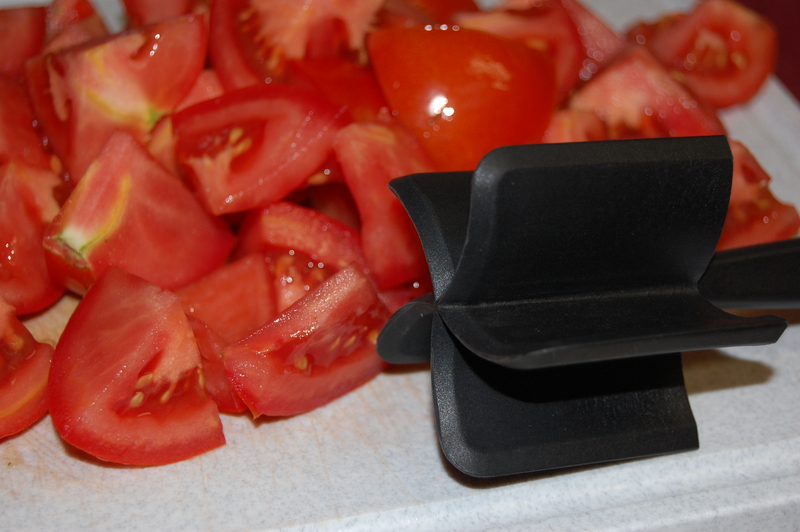 If you don’t own one of these handy tools, then you could try to continue cutting the tomatoes into small pieces with your knife and using a fork to smash them. (See pictures below for how mine turned out). You could also used canned dice tomatoes as well. Mix ground beef or turkey, seasonings, onion, egg, and bread crumbs into a bowl. Mix/stir up the ingredients until blended. Portion the mixture into 12 muffin cups. Press the meat into the muffin cups. 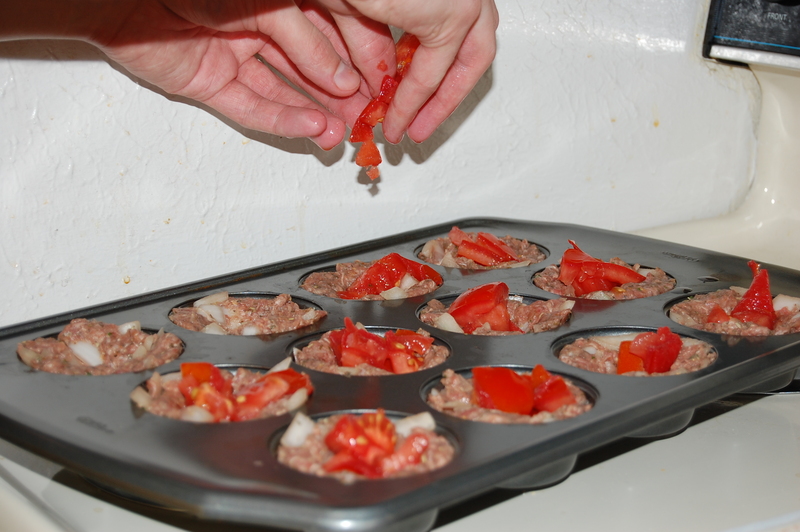 Use your fingers or a spoon to make an indentation in the center of each meatloaf muffin. Fill each center with the crushed tomatoes. Bake for ~30 Minutes or until internal temperature reaches 165 degrees Fahrenheit. 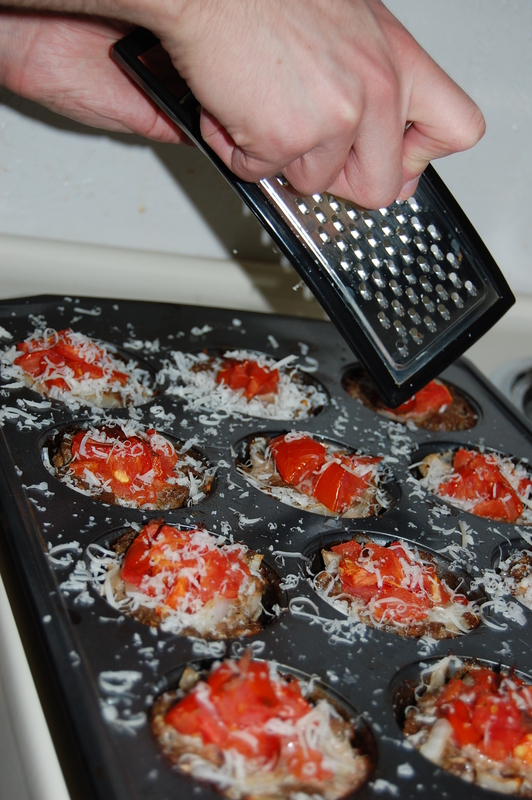 Remove from oven and sprinkle each meatloaf muffin with Parmesan cheese. 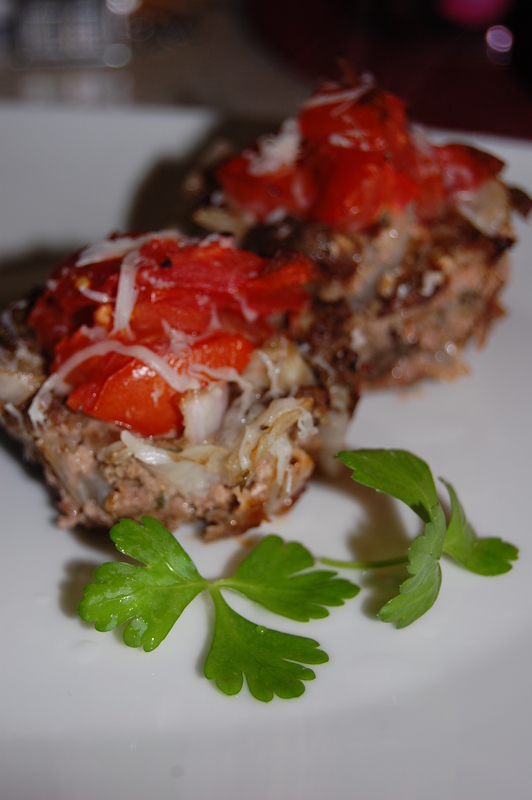 Meatloaf muffins pair great with a side of freshly steamed veggies!